‣ Mac OS X: Select Toon Boom Studio > Preferences. You can change the background colour of the Drawing view. You may want to do this if you are drawing with very light colours. 2. 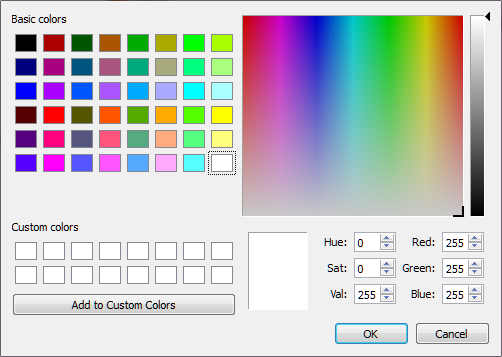 In the Window Background Colours section, click the square beside Drawing. 3. Choose a colour and click OK.
4. Click OK in the Preferences panel. The Drawing view background colour changes to the selected colour. 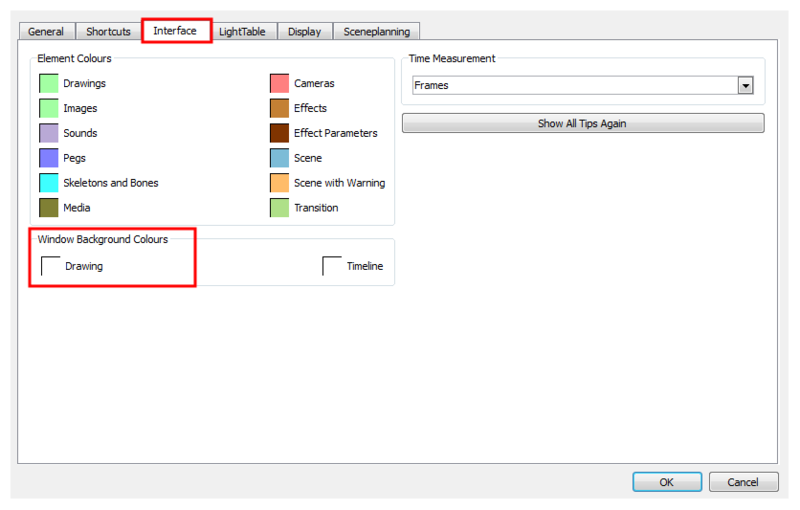 You can change the way the drawings are displayed when using the Autoight Table option. 1. In the Preferences panel, select the LightTable tab. ‣ Select the Enable Shade option to display the other columns drawings as washed out colours when using the Automatic Light Table. ‣ Deselect the Enable Shade option to display the other columns drawings with their real colours when you are using the Automatic Light Table.